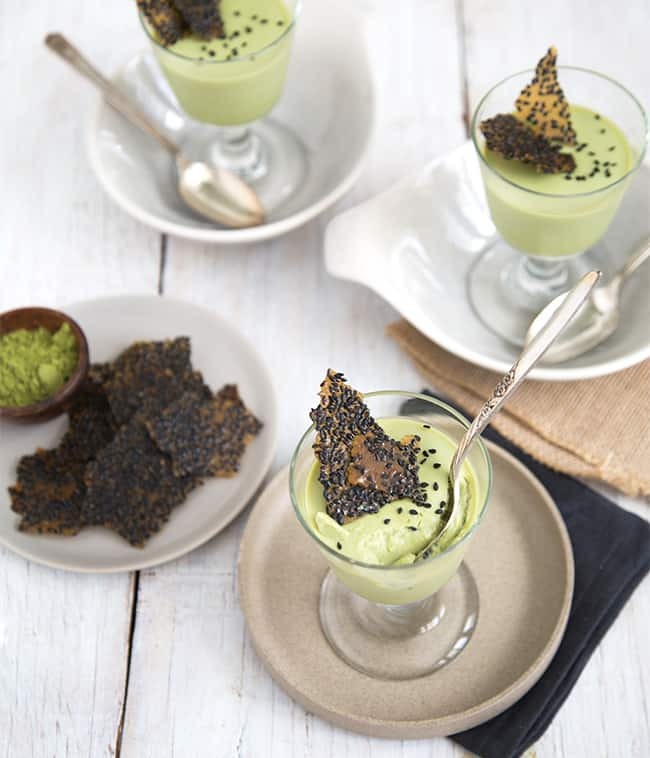 This easy to make matcha green tea panna cotta is served with crunchy black sesame brittle. The contrasting textures and flavors is addicting! Restaurants love to serve panna cotta. Not only is it an easy dessert to make, it is also one of the least expensive to produce. Panna cotta keeps well in the fridge and can be made ahead of time. I worked at one restaurant that always had some variation of panna cotta on the menu. Every single week I would have to make hundreds of little mason jars filled with panna cotta. 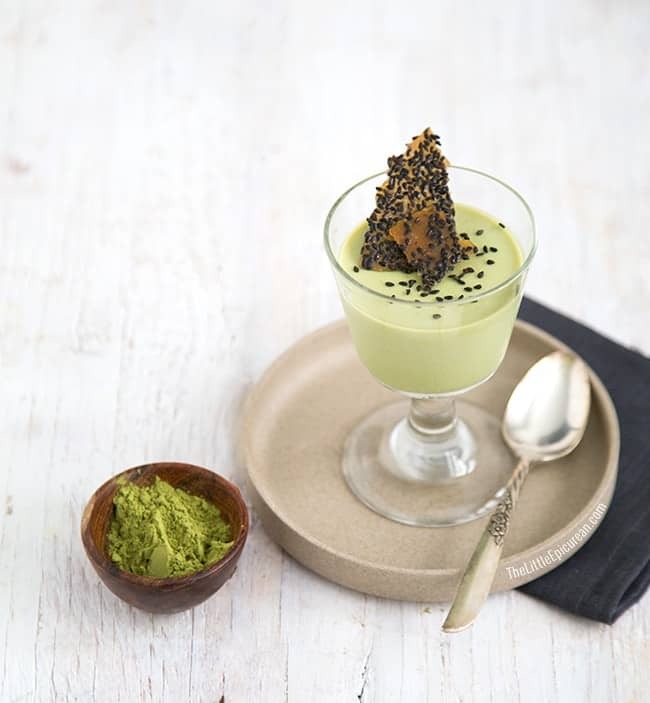 My favorite version: matcha green tea panna cotta! Panna cotta is Italian for “cooked cream.” Fittingly named, panna cotta is essentially a cooked mixture of milk, cream, sugar and gelatin. Play around with the combination of milk and cream to make the dessert super rich and creamy, or a tad bit on the lighter side. I opted for the latter and I used 2% milk instead of whole milk. Great thing about panna cotta, it can also be made dairy-free by using coconut milk. The flavor possibilities for panna cotta are endless. Spices, herbs, and tea can be steeped in the cream to infuse flavor. 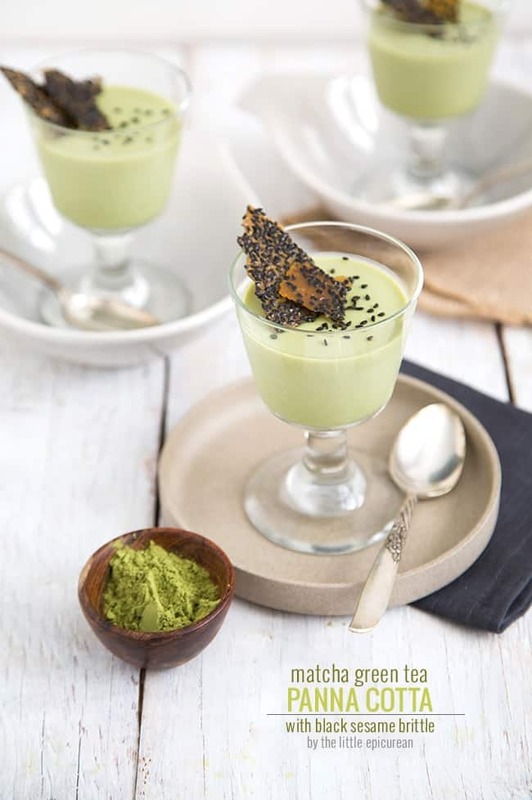 What’s not to love about matcha? I love its pretty hue of green, its intoxicating aroma, and the way it pairs so well with many dishes. Its antioxidant properties and health benefits are also a plus. My favorite aspect of panna cotta- you can use all sorts of different glasses, cups, and jars to serve them in. These lovely little goblets that I used are courtesy of Alex’s grandmother. She had given us a bunch of stemware and plates that she no longer uses. 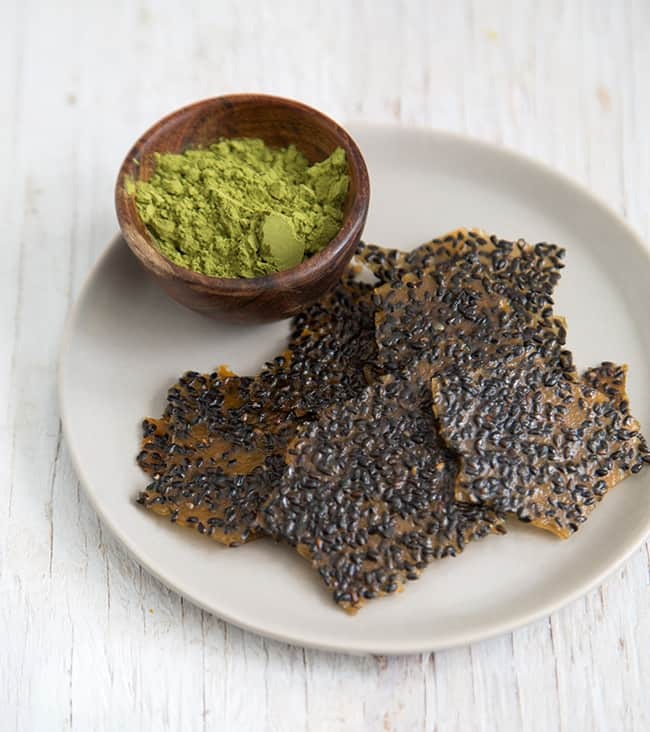 To go along with my matcha green tea panna cotta, I made this super easy black sesame brittle. Green tea and black sesame taste amazing together. See black sesame cupcakes with matcha cream cheese frosting for further proof. I can only eat so much panna cotta because I get bored of the silky texture. In order for me to finish a dessert, there must be contrast. I need something different to keep my palate interested. The black sesame brittle provides the perfect crunch. It’s like eating creme brûlée, except you can have as much of the burnt sugar as you’d like! Preheat oven to 400 degrees F. Line baking sheet with silicone baking mat. Set aside. *Note: Due to the small amount of brittle in this recipe, I used a kitchen scale to measure it out in grams. What a gorgeous and delicious dessert! So so creative too! I usually never order panna cotta for the same reason you’ve mentioned. I’m very big on texture so I’m loving the pairing with crunchy nutty sesame brittle! 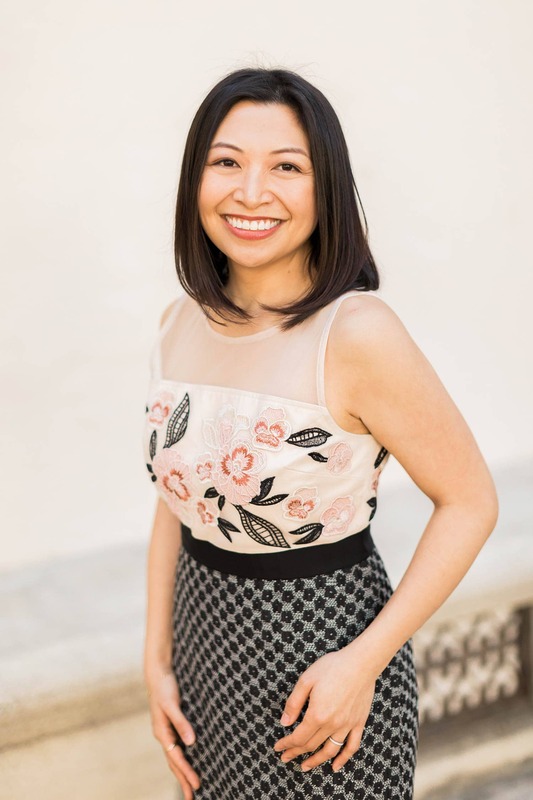 Delicious blog I’ve just found :) I feel like losing myself around here! Very excited to try this for a dinner party this weekend! I know panna cotta can be made a bit ahead, but will the brittle stay crisp if I make it 48 hours in advance? Hi Ellen, I suggest making the brittle the night before. If your kitchen is cool and relatively dry, the brittle should be fine. However, too much humidity will make the brittle melt.